Now, don't get me wrong, it is still very well-written, it still has some wonderful world-building, as we get introduced to new places and new characters, BUT! Speaking of characters, I think everyone will agree that they are the most important thing in the book. I don't know about you, but I really CARE for some of them, and unfortunately those were the ones that didn't make it to book 4. Martin wrote so much that no edition could hold it, so he decided to split the book, but regionally and thematically rather than chronologically. 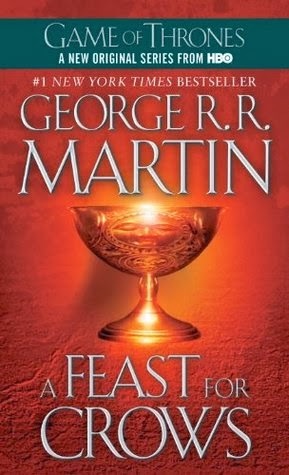 This particular novel focuses on King's Landing, Dorne, Iron Islands, Oldtown and Braavos, where nothing really exciting happens, and the only POV I care for in this book is Arya, who is also not in the middle of any important events. Moreover, there are many new or even one-time POVs, which means there is a lot of prehistory for each of them, and most of it is for nothing, because some of them are in the book just to show what is happening in a particular place. I was very excited to discover that Cersei is a new POV, as I LOVED how Jaime was transformed from a bad guy to a good guy after he became a POV character. But nothing like this happened with Cersei. Seeing everything with her eyes didn't make me sympathize with her actions at all. On the bright side, I do like Arianne, and I hope she will continue to be an important POV character in the series. Some plot lines seemed to be just fillers or were plain ridiculous. For example, Martin makes Brienne tour the most far away and insignificant corners of Westeros for QUITE SOME pages, but it doesn't serve the plot at all. She could have equally well spent her time lying somewhere being ill, for all I care. The Iron Islands plot line is more lively, but is utterly unbelievable. I mean, HOW could people with a medieval thinking make such a decision on a kingsmoot? As Stanislavsky used to say, "I don't believe". OK, that was more of a rant than of a review, but I was really disappointed. When I take an Ice and Fire book I expect to be thrilled, enraged, surprised... Well, INVOLVED! I was not. I even put it aside for some time to read something else. 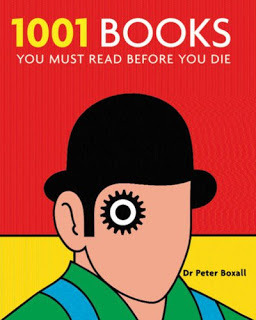 That would not be possible with the earlier books. I only hope that book five which tells about all my favourite characters will be awesome enough to atone for this one. It was not good enough for me. The weakest book in the series so far. Weakest, yes. I think the fifth book is pretty much the same. I have said that I think Martin made a mistake in breaking up these books the way he did and could have done something more along the lines of what Tolkien did in Lord of the Rings. Or maybe he couldn't. I'll reread the entire series when the final book comes out. At that time, I'll be reading with a little less drive to know what happens next and more with an eye to how the story progresses. It may be that I will better appreciate Martin's choices at that time. In the meantime, I'm with you. Disappointed. And definitely a book that feels like it's just moving all of the characters into position for the next big narrative push. I found this one a pretty hard slog as well. None of the characters, with the exception of Arya, were interesting at all, but I'm hoping that it's all a big build-up for the next book. I've heard that people are having more success reading the third and fourth books together, in chronological order, and will give that a go if I can ever face the thought of re-reading such a massive collection of tomes. Yeah it looks like most people aren't happy with this book especially. I remember I felt it a bit slow and there were maybe too many characters, when compared to the previous books, but I still gave them all the highest ratings because for me, these books are still basically the best compared to the other stuff out there. I think I liked the next one a bit better, but other people did have problems with the next installment as well. I'm not too far into the series, so I haven't read this one yet. Too bad it was so disappointing.